This Pokemon can now pick any of your card in the deck or on your bench etc and take this damage. 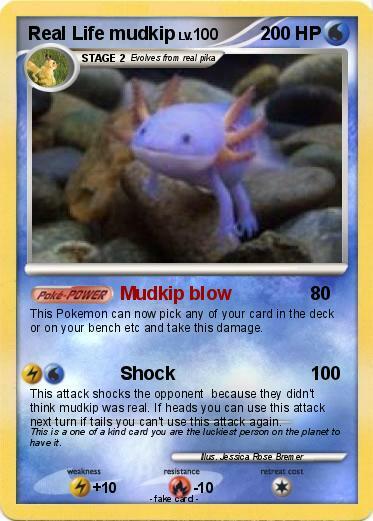 This attack shocks the opponent because they didn't think mudkip was real. If heads you can use this attack next turn if tails you can't use this attack again. Comments : This is a one of a kind card you are the luckiest person on the planet to have it.